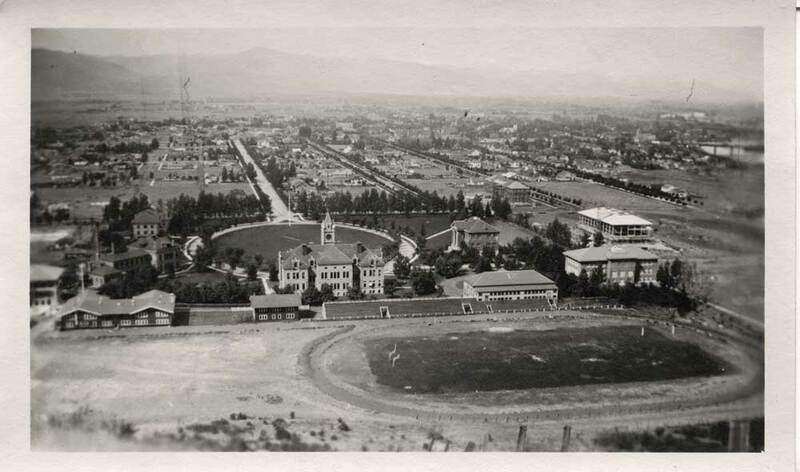 The UM campus in the early 1900s. My father, Harry Nevoy Stuber, and my mother-in-law, Evelyn Lee Davis, both graduated from MSU [as UM was known then] in the early 1900s. Both left extensive photos of the area. 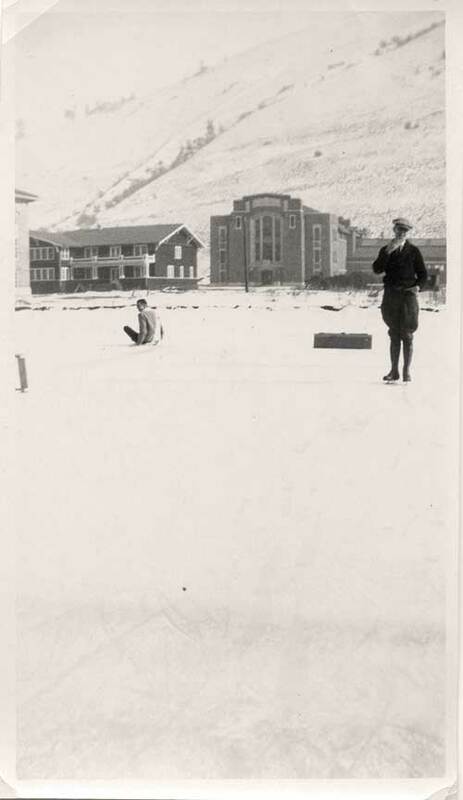 Enclosed are some photos of campus at that time that might be of historical value. The man on the skates is my father. Editor’s Note: The photos will be donated to UM Archives and Special Collections.